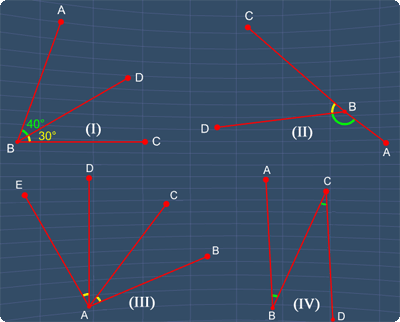 Which of the following angles are adjacent angles? 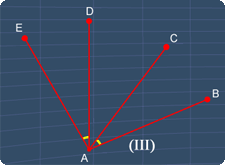 As for the angles in III, they are not adjacent angles. This is because these two angles do not have the same side..
As for the angles in IV, they are also not adjacent angles. This is because these two angles do not share the same vertex. Clearly, I and II are adjacent angles. Hence, the answer is A.